What a fun day we had today! 5 Parents came in to our classroom and played some games with us. 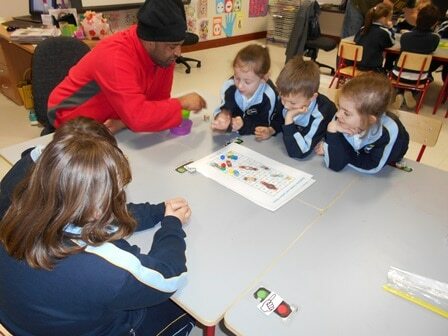 Some of the games included Telling the Time Bingo, Score a Goal, Snakes and Ladders, Close the Box and Pop to the Shops. In room 8 we cannot wait for our next Maths 4 Fun day on 3rd February. Thank you to all the Parents who took time out of their day to play with us today!